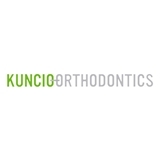 Kuncio Orthodontics (New York) - Book Appointment Online! WELCOME TO KUNCIO ORTHODONTICS A smile can be—literally—built to dazzle. It can look friendly and welcoming, with even teeth and a perfect jaw. A smile like that packs huge cosmetic and social advantages—allowing you (or your child) to sail through life: attracting people, gaining confidence, and spreading effortless joy. But a dazzling smile is only a side benefit to truly exceptional orthodontic work. The reality is this: if you leave your (or your child's) teeth and/or jaws out of line, you're restricting his/her quality of life, including clean and healthy teeth and gums, and proper digestion and breathing. You can eliminate these risks from your (or your child's) life forever—and get a beautiful and natural makeover, too. We'd love to help. We've been performing orthodontic work since 2003, and have helped hundreds of happy, healthy, newly dazzling patients. Our son was treated by Dr. Kuncio for 2 years and we could not be happier. The case was so complicated that several other orthodontists did not want to do it. We were a little nervous since we found Dr. Kuncio online, but we were so impressed with his credentials (publications, teaching, etc.) that we decided to meet with him. It was truly one of the best decisions we've ever made - from the initial consultation through the removal of the braces, Dr. Kuncio and his staff were the epitome of what you expect from a boutique Manhattan orthodontic practice. Thank you so much!